Whether it’s a few pieces of equipment in a 100 square foot area or a state of the art fitness center, SCIFIT meets the needs of corporations and their employees. Corporate fitness programs have been shown to reduce insurance costs, increase productivity and boost morale. SCIFIT equipment meets the challenges of the corporate environment. It is durable, safe and requires little supervision with the aid of our exclusive USB Fit-Key technology. 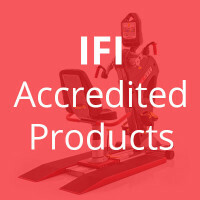 SCIFIT offers a great blend of cardio equipment to meet the needs of a diverse workforce. SCIFIT makes a wide variety of products with a focus on upper body only, lower body only, and total body movements. The following products are preferred products for corporate fitness. Enter your email address to download the Corporate Fitness market guide.